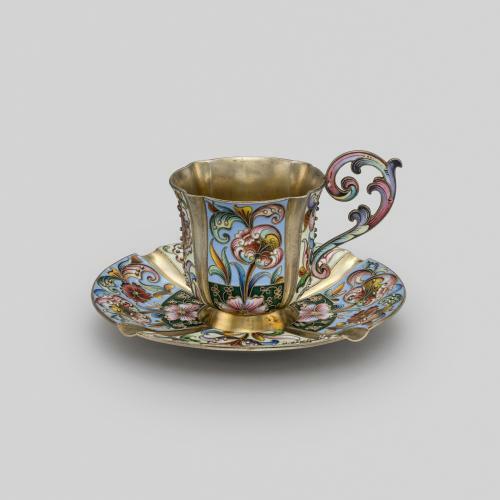 This teacup, saucer and spoon were made by the celebrated workmaster Feodor Rückert, who specialised in the production of cloisonné enamel wares for the firm of Fabergé. 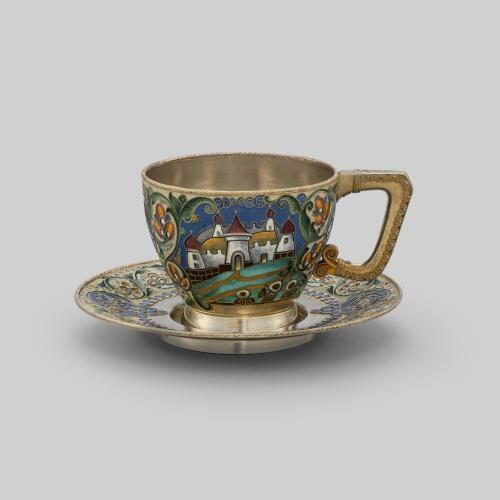 A celebrated enameller, Rückert sold works through other large firms such as Ovchinnikov as well as through his own account, and was renowned for his use of bold and personal designs and colour schemes. From around 1908, Rückert began to use muted colours within his work such as yellow, blue and olive green, which can be seen in this set. 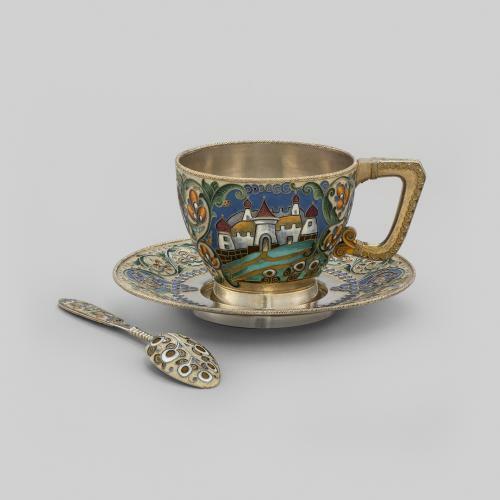 The design features a stylised castle surrounded by geometric motifs, characteristic of the Pan-Slavic Revival. 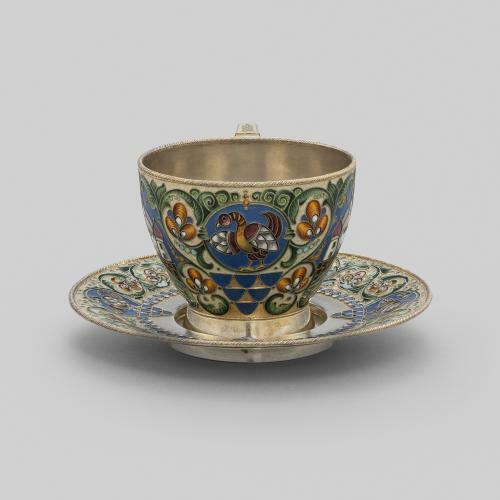 This style became popular among Russian craftsmen from the mid-19th to the beginning of the 21st century, who turned to Russia’s rich Medieval ornament for inspiration. 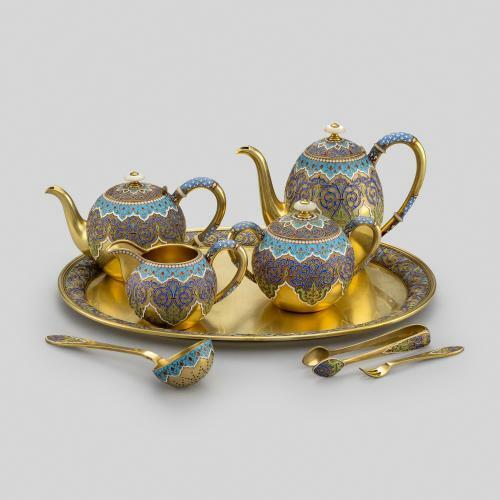 The style inspired most of Rückert’s designs from 1908 up until his death in 1917.